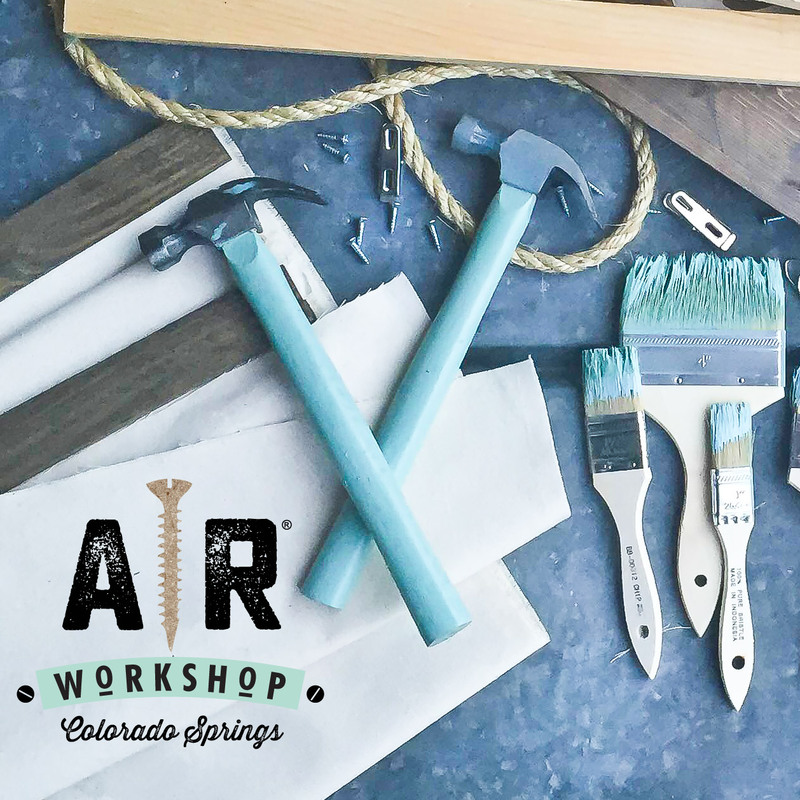 WELCOME TO AR WORKSHOP Colorado Springs! Coming to Colorado Springs in Fall 2019! 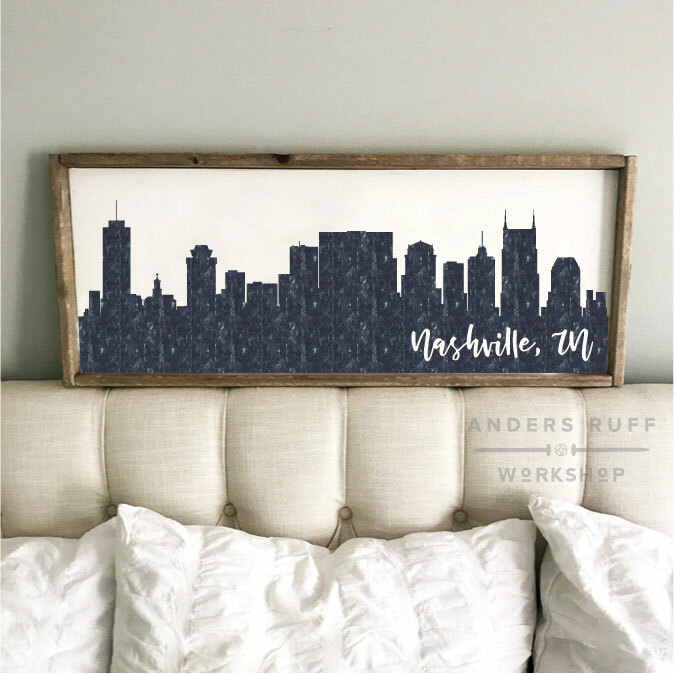 AR Workshop is a boutique DIY maker-space that offers hands-on classes for creating custom, charming home decor from raw materials. 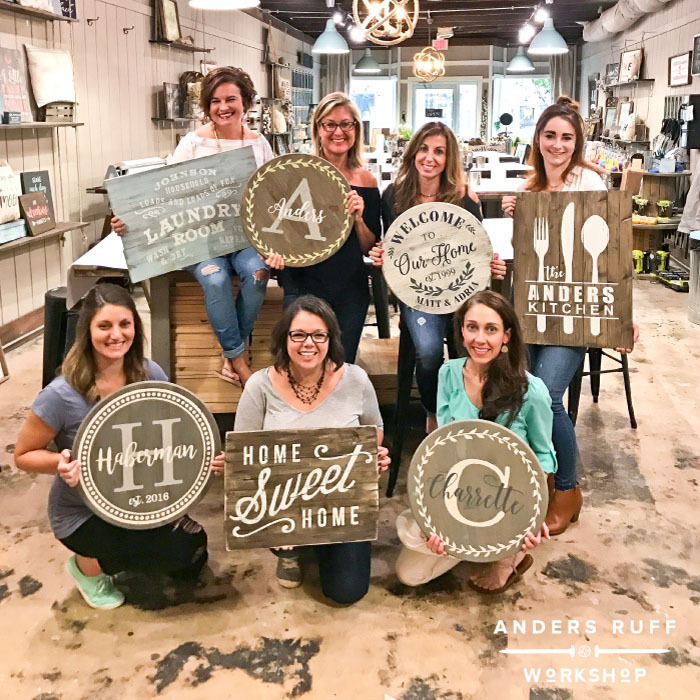 Join an instructor-led workshop to make custom wood signs, framed signs, canvas pillows, round signs, lazy susans, centerpiece boxes, tote bags, chunky knit blankets, and more! Our studio workshops are perfect for birthday parties, (kids and adults! 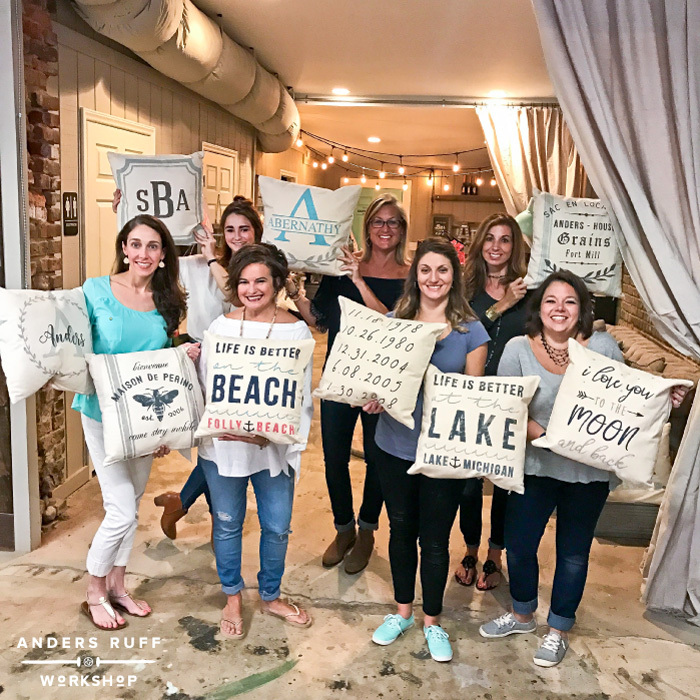 ), team-building events, church small groups, ladies night out, date nights, customer / volunteer appreciation events, private parties including bachelorette, baby showers, family reunions and going away parties! 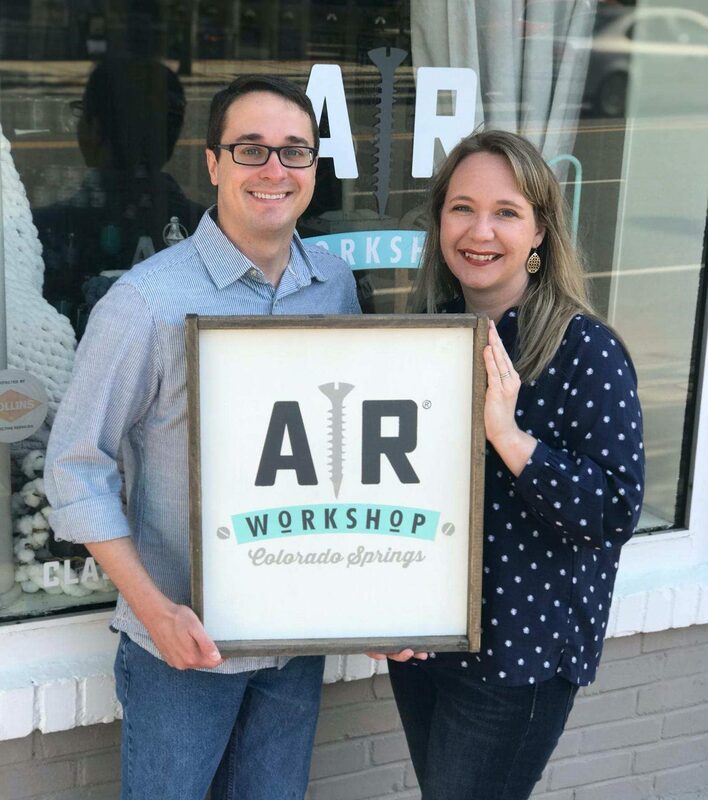 AR Workshop Colorado Springs is owned by Abe and Grace Stopani. In addition to a love for DIY and crafts, they love hosting memorable events like their legendary themed Halloween parties. (They once turned their living room into a full-on Bat Cave!) Abe and Grace are thrilled to bring AR Workshop to Colorado Springs to provide a place where community can be developed through crafting. Serving Colorado Springs, Black Forest, Monument, Falcon, Manitou Springs, Old Colorado City, Castle Rock, Woodland Park and beyond! Our workshops are for all skill levels! Register to come by yourself, with a group, or book a private party! To reserve the entire workshop for your private party, we require a $100 non-refundable rental fee. AR Workshop Colorado Springs has a private party minimum of 15 people from Sunday-Wednesday, and a 20 person minimum from Thursday-Saturday. Most of our adult projects range from $40-$70 and our youth projects range from $40-$45. View our workshop schedule for specific pricing. You are welcome to bring in wine, small snacks or appetizers to enjoy at your private events!